The FBI Reported 97% Percent of Child Abuse Victims are Not Protected! Join us in celebrating the children of America and keeping them safe from abuse. The worst nightmare for loving parents is a brutal reality for many precious children, in our country, in our world, and sadly, in our presence! 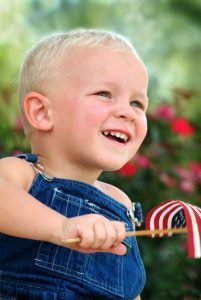 We are a top children’s charity, and one of many excellent charities located and serving the United States. 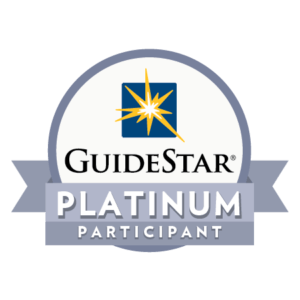 We are a rated by Guidestar. They have certified our organization with their highest rated Platinum level. We are a charity you can trust, established in 1998. Creating lasting change for children is what we do best. The United States Trademark Registration Number is: 5,409,810 for the name Hope for Children Foundation. The IRS authorized us as a non-profit organization IRS 501(c)(3). Some consider us a child foundation, seeking to help kids, prevent child abuse and hope to stop child abuse. Various services are offered to the general public at no charge. Free educational courses to help victims and survivors of abuse include video and movie classes about child and adult safety, protection services, emergency response as well as other classes. Some people consider this non profit organization as one of the best children’s charities in the United States for families. We invite you to volunteer and/or donate to support this charitable organization’s mission. Our training is valued at over $3,000,000, although it is offered to you, your family and community without charge. We hope to enhance love throughout your family. Our training programs address many topics, but not limited to: child abuse, abuse to adults, sexual assault, domestic violence, stalking, human trafficking, elder abuse, and much more. I can’t thank you enough if you are one of the many who have come forward and spoken out about sexual abuse you experienced. This is a very difficult choice for most people because of the emotions a victim experiences. Many charitable organizations like this 501(c)(3) non profit, have worked many years to help victims of these horrific crimes. We want to thank #MeToo and Time’s Up for your work and support for victims. Every victim such as Simone Biles and the other Olympic gymnastic team members who are abuse survivors are truly our heroes. We offer more than 25 FREE online training videos and/or movies, about helping victims of violent crimes, and child abuse prevention. Please see Movies or Training menu above. Abused victims need all the support possible to recover from trauma experienced by the hands of their abusers. 30% of child abusers have experienced abuse on their own bodies during childhood. Child abusers need help with learning how to break the cycles of violence. Review the free online Videos, Movies, and PSA’s. Access to these are located in the Menu bar above. About 97% percent of abused kids reported to the legal system are not protected. This fact was calculated with input received by the FBI from law enforcement agencies located in each state throughout the United States. This statistic was spot checked. This national average is correct. What will you do within your family to help stop child abuse? Hopefully child abuse does not exist in your family, although what if it does exist in your family? You can get help to stop it. Yes, we want to help you and your family to live an abuse free life. It takes work and commitment, and with the right help, it is possible. The power of the Internet, via our Web site is used to enable a local, national and global presence. An invitation is extended to you in hopes you will help us prevent child abuse. Start this action by accessing our free online training. Learn about true love, kindness, respect, and a call to justice for precious innocent children. Learn to exercise positive interactions within your relationships daily. Support our social media and share with your family and friends. Let them know we are a very sincere and devoted charity. Our educational programs are a gift from our hearts and homes to yours, a gift to you, your family, and friends. Providing state-of-the-art training intending to reduce violent crimes against children. This children’s charity is known as one of the best children’s charities, and is involved with the prevention of cruelty to children, in the United States and abroad, as a top rated charity. Children are very vulnerable and need the nation’s help, especially since child abuse is everyone’s business! Since 1998, we have encouraged families to take steps and learn how to reduce violent crimes within their family. It just takes one brave person in a family to begin reducing violence in the home, and create lasting change for children. Be the voice in your family to help your family members. Remember violence is a learned behavior. Non-violence is also a learned behavior. We all must value the relationships within our families. Please start now and allow this valuable training to help you. Our services are unique. 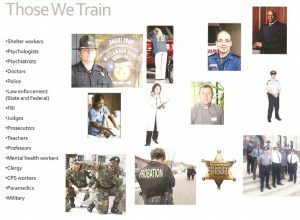 We feel it is important to train the general public with some of the training we provide to law enforcement officers. Many abusers already know much of this information. It is time for victims, their families, neighbors and the general public to receive this knowledge. United we can take steps to help stop child abuse! Training is also provided concerning major federal laws through The Violence Against Women Act. These federal laws provide excellent protection for children, women, and men. Become one of our partners in preventing cruelty to children. It is an honor to serve you and your family. Too many kids in America are suffering. It is extremely important for each citizen and family to understand state and federal laws concerning child abuse. Knowing your legal rights and the rights of a child are most beneficial, should you ever find yourself in a court room attempting to protect a child from abuse. Taking these steps are the right actions toward protecting your children. Our goal in life is to provide great survival – safety – protective training throughout the United States. Standing strong with other child abuse prevention organizations and charities to protect children is what we love to do. Please do not be fooled by a few entities who are unlawfully using our good name without our permission. You must be informed and made aware, other entities are collecting money from the general public by using our name, Hope for Children Foundation. They absolutely do not have our permission. We built a good name, as an acknowledged leader in America fighting against child abuse. We filed for and received registration certification for our Trademark name. We proved we have continuously been in business in the United States of America operating as Hope for Children Foundation, since April 2, 1998, long before anyone else has continuously operated with our name. We also use the name Hope for Children ™. https://www.youtube.com/watch?v=gI-7RCSjv8U one of our charity events ideas. We invite you to volunteer for charity events, otherwise known as non profit events, to help a child reach up and beyond certain situations. We offer fundraising walks and runs, to support abused children and others. Donations are appreciated to help continue the mission of Hope for Children Foundation. You may also help us by selecting our organization to receive a donation through Amazon Smile when you make a purchase through Amazon.com. Their program is called AmazonSmile. Just select our IRS 501(c)(3) EIN authorized number 75-2756638 when you select the charity of your choice. We use PayPal, a secured line to protect your privacy. We also accept checks should you want to mail us your generous donation. On behalf of the children we serve, we thank you. Our patrons make a big difference to our mission. We are grateful for your donation, no matter how small or large it may be. Thank you!